Noisey serves up a new visual with G.O.O.D. 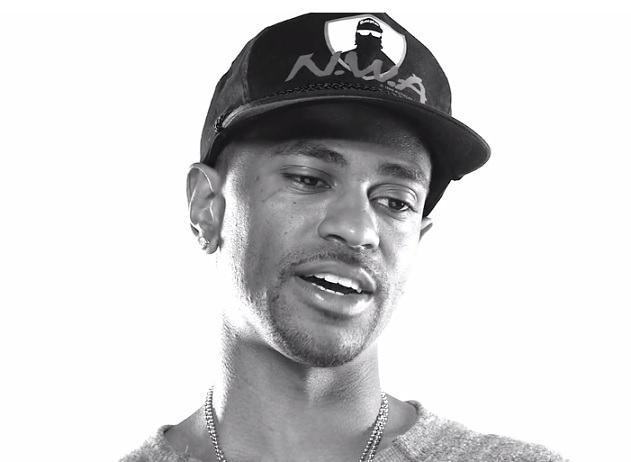 Music’s Big Sean as the Detroit native breaks down in 60 seconds how he was able to make it in the music industry. Opening things up by crediting his mother’s musical favorites as his early influences, the rapper explains how he use to attend a radio show every Friday and battle rap for the chance to showcase his skills on air. By chance, Sean gives viewers insight on how he was able to get the opportunity to freestyle for Kanye after he made a visit to the radio station. This entry was posted in Interview, Video and tagged 60 seconds, big sean, budweiser, detroit, hip hop, Interview, Kanye west, rap. Bookmark the permalink.